The six letter word called stress is an absolutely normal body response. 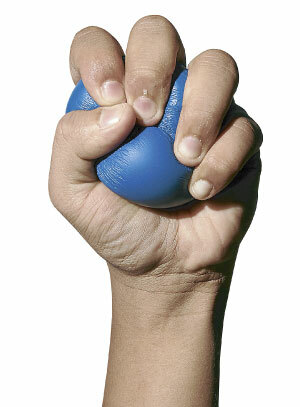 In the simplest terms, stress is the process where your body reacts to a threat. We often use the word “stressed” to describe overwhelming circumstances in our lives. We may feel more exhausted or irritated than usual which can lead to either a loss of appetite or even worse, depression. The effects are both internal and external. Despite stress being so closely related to negative events, did you know that some amount of stress is good for you? Good stress, also known as eustress, actually helps us execute tasks more efficiently, pushing us to be more productive. This type of stress drives us to reach our goals and objectives. It also helps to protect us from danger. Have you ever heard of the fight-or-flight response? It is literally a warning alarm system in our body. When we sense danger or a threat, our sympathetic nervous system and adrenal-cortical system are activated. Hormones are then released. Next, the adrenal gland is triggered and releases the hormones adrenaline and noradrenaline into the bloodstream. This results in the escalation of our heart rate, blood pressure and breathing rate. Our attention and sight become sharper and our sense of pain reduces due to analgesic hormones that are released in this process. These responses are built in us to help us prepare or survive life threatening situations by motivating us to fight back or run faster. For example, it may prompt us to save a life when there is an accident. More related to the work context, stress also helps improve our mental capacity to think and remember things better. But while there are many benefits of good stress, too much of stress also has its downfalls. Too much emotional stress for a long period of time can be damaging both physically and mentally. Many health issues can arise such as a weakened immune system, high blood pressure and heart disease. Your mood swings not only affect yourself but the people around you as well. As reported by Regus, 70% of Malaysian workers experienced an escalation in stress-related illnesses last year. Being too stressed can also push someone “over the edge.” The worst thing that one may face is developing suicidal thoughts. A suicidal mind set can be caused by negative professional and personal events. Suicide rates have been rising in Malaysia. According to former Health Minister Datuk Seri Liow Tiong Lai, the ratio of suicides was 1.3 or higher for every 100,000 people from 2007 to 2010. Have you ever heard of the Japanese term “karoshi”? It is translated as death from overwork. This horrifying phenomenon is very eminent in Japan. Author Bob Rosner writes about a case in Kenichi Uchino, where a Japanese worker died due to working over 80 hours of overtime per month. He had sudden heart failure from overworking. While some amount of stress is good, clearly we can sometimes push ourselves and those we lead too far. Let’s look at the signs and symptoms of stress. The signs and symptoms have been broken down into four parts – physical, emotional, cognitive and behavioural symptoms. Now that we have a deeper knowledge of stress, the million dollar question is why do we get stressed? Were we designed to deal with such battles within ourselves? 1. Relationships – Arguments with a colleague or lack of support from friends or family may cause one to be stressed. Another example is a threat of violence or harassment that you face at your workplace. 2. Major life changes – Such circumstances like the death of a loved one or changing jobs are a significant source of stress. 3. Emotional problems – This internal factor can also cause stress. Examples include anger one cannot express, low self-esteem or feeling unable to relate to anyone. 4. Your job – Long hours or feeling unappreciated with a very demanding job can lead to chronic stress. You will also be stressed when your own skills or abilities do not match the job requirements. 5. The social situation – For example, you are lonely at work or being discriminated for various factors like gender, race or sexual orientation. 6. The environment of one’s workplace – For instance, overcrowded areas and noise pollution does affect one while working, especially when trying to focus. Stress cannot be avoided because it is simply a normal part of our lives. However, we can be an overcomer and learn how to manage stress the right way. Here are healthier ways to handle stress. First of all, we have to identify what makes us stress. Is it the nature of our work? Or is it a particular colleague? How about our boss? Knowing the source of our stress comes will help us have a deeper understanding and deal with it better. Write down in a notebook or on a sticky note who or what your stressors are. Then ask yourself whether you are able to do something to change the situation or prevent the source of stress. For example, if your colleague or boss is constantly yelling at you, ask them why they are constantly communicating with you in this way. If it is the result of unmet expectations, clarify what they expect and plan steps to ensure you meet those expectations. If the source of the stress is something you cannot change, consider whether you can change your response to it. Another way to manage stress is to organise your time wisely. “There was always a quest for more minutes, more hours, faster progress to accomplish more in each day. The simple joy of living between summers was gone.” quotes Mitch Albom in his book, The Time Keeper. We tend to complain that we don’t have enough time. Deadlines loom and the race against the clock can really stress us out. We forget that time is always there, but the decision is in our hands on how to use it. Can you manage your time better? Have a yearly planner and prioritise what is more important at the moment. However, don’t fill up your schedule to the brim. Be realistic and leave some room to be flexible. Organise your work by establishing a filing system. This will encourage you to be more systematic. A messy desk can definitely be stressful, especially when you’re looking for something urgently. So arrange your notes, articles and books neatly and throw out unnecessary materials. Make time to do fun activities to de-stress. You have to find that balance between your personal and professional life. Some personal “me” time is vital to keep yourself healthy whether it’s going for a walk in the park, getting a massage or even painting. Doing the things you love will re-energise you and distract you from worries. Have you heard of the phrase “the more the merrier”? Call up close friends or family members to accompany you to watch a comedy, play sport or bond over some food and drinks. Laughter and great conversations will do you a lot of good. Last but certainly not least, embrace the things that you cannot change. Accept mistakes. It is absolutely okay to make mistakes because no human being is perfect. Doing the absolute best that you can is great but being a total perfectionist is not the way to go. This is where stress comes in. Next article How Tense Are You?